What is 3D-Printed CNC Hair Replacement System? For male or female hair loss patients suffering from severe or extensive hair loss, alopecia totalis or alopecia universalis, temporary or permanent hair loss from chemotherapy, or those looking for an alternative to hair transplantation, “3D-Printed Hair” or is the latest breakthrough in hair replacement. Much to the disappointment of many hair loss sufferers, it seems like innovations in non-surgical hair replacement options have lagged behind the dramatic advancements of medical treatments and minimally-invasive hair transplant procedures… until now! Lightyears beyond a traditional hairpiece, medical wig or hair system, this new high-quality customized internationally-patented medical-grade hair and scalp prosthesis offers the ultimate natural hair replacement option for a complete return to an active lifestyle, without compromise. 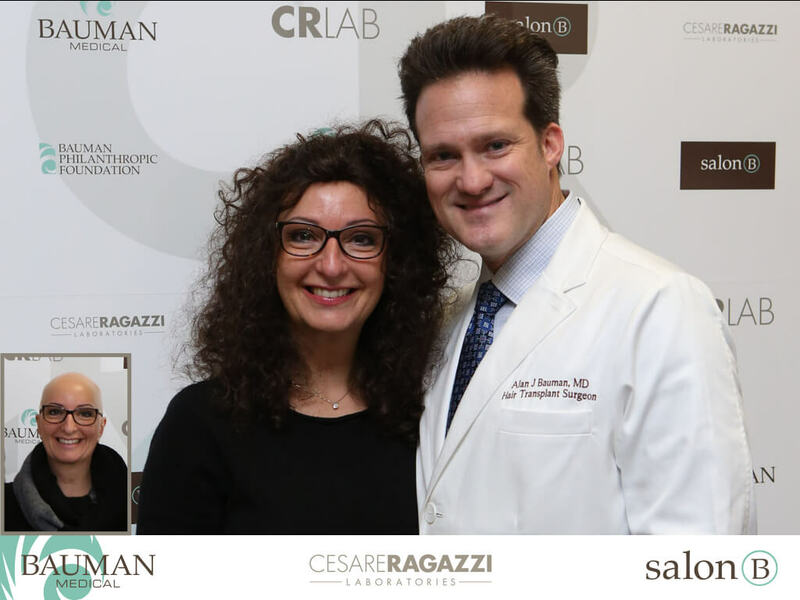 The CNC by Cesare Ragazzi Laboratories CRLAB is the only hair replacement system in the world to utilize this patented 3D-printing technology. 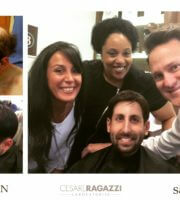 What is Cesare Ragazzi Laboratories CNC Hair Replacement? Classified by the Italy’s Ministry of Health or Ministero della Salute (Italy’s equivalent of the FDA) as a medical device, Cesare Ragazzi’s patented “CNC” hair system utilizes a unique combination of technology, like 3D printing, and old-world craftsmanship to deliver a non-surgical, natural hair replacement solution to those with hair loss and thinning hair. “CNC” means “Capelli Naturali a Contatto,” literally translated as “Natural Hair Attached,” which describes the natural hair prosthesis which is attached directly to the patient’s hair and scalp. Dr. Alan Bauman of Bauman Medical is proud to be the first medical hair restoration clinic in the U.S. to offer the CNC hair replacement system to his patients. We’ve all heard the news about how modern-day medical prosthetics are helping those who have lost limbs, teeth, bones, joints and more rediscover their freedom, peace of mind and regain a normal active lifestyle… so, why not hair? The CNC is a true medical grade cranial prosthesis. 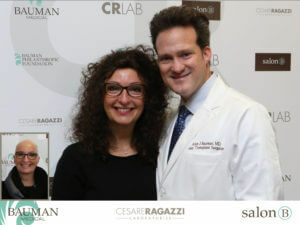 Clinically tested for dermatocompatability, comprised of FDA-cleared components and painstakingly crafted with the highest quality, natural, unprocessed human hair, the CNC from Cesare Ragazzi allows those with partial or total hair loss the ability to restore a naturally full head of hair without surgery. For a woman experiencing hair loss, the situation can be a significant cause of stress, anxiety and concern. Seeing more scalp shining through and significant shedding hair can severely impact hair styling. Medications, lasers, nutritionals and even hair transplant procedures have their limitations–especially when the issue is severe female pattern hair loss or an alopecia condition. The CNC hair replacement system from Cesare Ragazzi has helped many women regain a beautiful, youthful head of hair and an active lifestyle along with all the benefits of increased confidence and self-esteem. How is a 3D-printed CNC Hair System Made? The CNC Hair System is an advanced, non-surgical, non-invasive, medical grade, dermatologically-tested, full or partial hair replacement system that restores hair and quality of life for the hair loss patient. Hand-crafted and yet technologically sophisticated, the CNC is considered a “best-in-class” hair and scalp prosthetic hair replacement system also referred to as a cranial prosthesis. Once a patient is selected for the CNC hair and scalp prosthetic, a template is made that matches the exact contour of the area to be restored. Then, a cast or mold of the entire scalp and cranial shape is taken and other parameters are recorded. In the factory, an exact 3D-printed model of the patient’s scalp is produced. 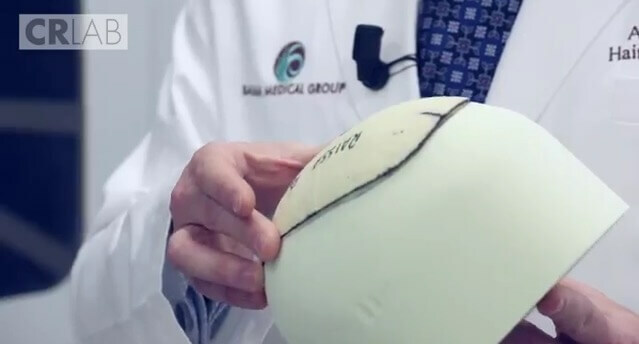 Upon this 3D model, a prosthetic clone membrane base is prepared with careful skin tone color matching to create a “2nd scalp.” Using the 3D-printed model, the prosthetic base or “2nd scalp” is handmade layer by laser using special polymer resin that has been dermatologically tested and designed to provide exceptional comfort and stability. Unprocessed, natural human hair is selected from donors with an exact match of color, curl, length and thickness to the client. One by one, each “virgin” hair strand is hand-sewn into the prosthetic base, implanted at precise distribution, angle and direction for a seamless match with the client’s natural hair patterns. The 39-step process takes an incredible 240 hours to complete! Numerous quality control tests are performed at every step of production and before the CNC leaves the factory and is sent to the clinic. At the clinic, the prosthetic membrane base is secured onto the scalp using a special medical-grade, dermatologically-tested adhesive. The CNC can then be shampooed and styled with ease. The CNC Hair System can be exposed to all activities, including swimming and high-impact sports. Contact Bauman Medical to learn what makes the CNC Hair System a game-changer when it comes to non-surgical hair replacement. Who is a Good Candidate for 3D-Printed Hair CNC? Want to learn more about OFFERING the 3D-Printed Hair CNC? You can call Andres at 561-465-7655 if you are interested in adding this amazing solution to your business. Limited territories are available, so please inquire directly by calling Andres at Bauman Medical at your earliest convenience.